With a down-to-earth style that appeals to people of all ages, Naomi Judd draws from her own life experiences to address her audiences. She offers a unique perspective as a single mother, victim of domestic violence, skilled registered nurse, highly successful singer/songwriter, actress, author, and television and radio personality. 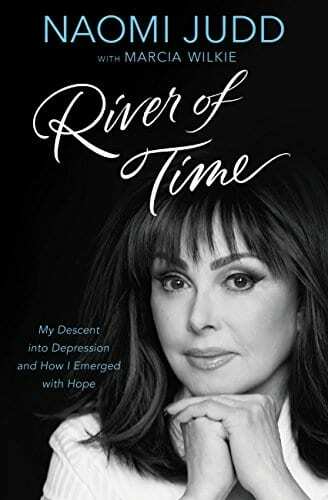 Her recent memoir, “River of Time: My Descent into Depression and How I Emerged with Hope” is an inspiring story for others who are struggling with mental health issues. Judd also has also helped raise awareness of Hepatitis C Virus. Always the entertainer, Judd incorporates wit and wisdom into her speeches and speaks her mind with words that come from her heart. Loss of your job, a health crisis, and failing relationships are just a couple of the common drivers of personal crisis which cause feelings of loss of control of your life. Learn how to not only survive but thrive amidst personal difficulties as Naomi discusses the eight characteristics of survivors from having a support system to having a purpose in your life. In 2011 Naomi hit rock bottom and was diagnosed with clinical depression. She shares her story, which is a mix of humor and humility, to help others who are struggling with mental health issues. Given only 3 years to live when diagnosed with hepatitis C and forced to leave behind her musical career during the pinnacle of The Judds’ success, the now recovered Naomi Judd shares her hard-won wisdom that peace of mind isn’t the absence of a problem, it’s in finding the proven ways to deal with them. This speech is inspired from her New York Times bestselling book, Naomi’s Breakthrough Guide. Do you have a mentor in making a dream become a reality? Would you like to hear how someone with a grim prognosis became a medical miracle? Are you yearning to become less stressed and depressed? Naomi has answers learned through her own life’s journey. She recently wrote a memoir, “River of Time: My Descent into Depression and How I emerged with Hope” and shares her story about hitting rock bottom in 2011. She hopes to inspire others who are struggling with mental health issues, and is an advocate for removing the stigmas around mental health. Naomi is also a survivor of Hepatitis C and served as the first national spokesperson for the American Liver Foundation. Using her fame, her experience as a former RN and her passion to help people, she’s re-directed energies into communicating her learnings and research through educating audiences about the scientific link between mind, body and spirit in the healing process as a keynote speaker. A member of Dr. Andrew Weil’s board of directors, Naomi advocates an integrative holistic approach to medicine along with the latest in modern technology. She helps to bridge the conversation between academia, medical communities and the everyday person about health and family-related issues whether her audience is the National Institutes of Health or a group of uninsured, single working Moms. In 2004, her self-penned bestseller, Naomi’s Breakthrough Guide, 20 Choices to Transform Your Life, remained on The New York Times best-seller list for over eight weeks. In 2005, Naomi wrote her third children’s book, Gertie the Goldfish, and in 2006, The Transparent Life hit the shelves. Hallmark Channel tapped her to host, Naomi’s New Morning, a weekly talk show that aired 2005 to 2007. In 2007, Naomi released yet another best-seller titled Naomi’s Guide to Aging Gratefully which was a message of empowerment to the millions of Baby Boomers in this country. She also served as spokesperson for Partners Against Pain, Post Cereal’s “Heart Health” campaign, Prilosec and AARP. And coming full circle to where we first discovered this unique, captivating personality, she helped launch CMT’s reality competition hit, Can You Duet as a talent judge for the past two seasons (2008-2009). Naomi continues humanitarian efforts including River Cities Harvest, the Saint Louis University Liver Center, M.A.D.D., Parents Television Council, Make-A-Difference Day, Women’s World Peace Initiative, the National Domestic Violence Hotline, and created her own July 4th Judd’s Annual Food Drive to benefit families of Appalachia. Described as the “Star Next Door” for her extraordinary talents and “tell it like it is” candor, Naomi provides an authentic voice to communicate complicated issues that touch upon subjects ranging from health and wellness, aging, parenting, and the power of the mind, body, spirit connection.